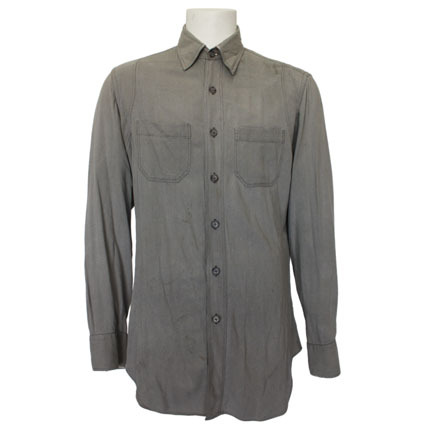 This gray western shirt was worn by the character "Tom Horn," portrayed by iconic actor Steve McQueen, in the 1980 motion picture, "Tom Horn." 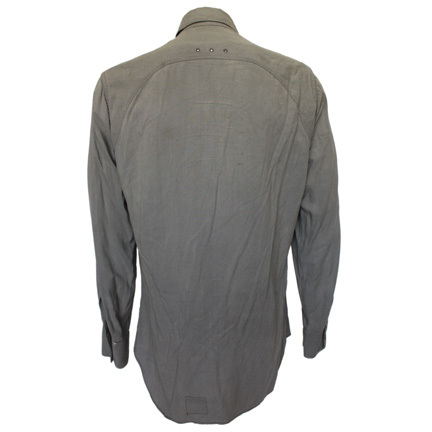 The garment features two patch pockets and small grommets on the back yoke and underarms, and is constructed of raw sand washed silk. 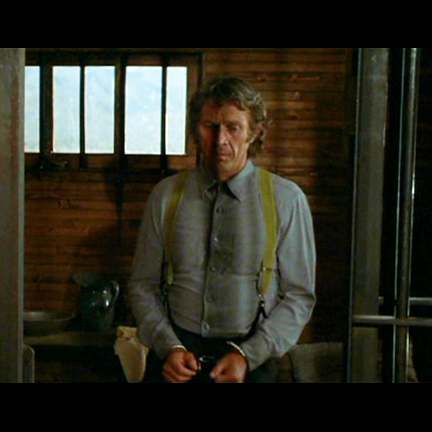 The fabric was hand dyed by costumers to produce an aged look for the film. 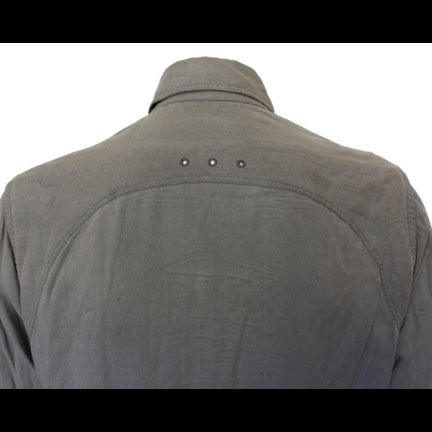 The garment was custom tailored for Mr. McQueen's use by American Costume Company, and is complete with the original costumer's label sewn to the tail with the name "McQueen" typed in black ink that has faded after its use in subsequent productions but is still visible to the naked eye. 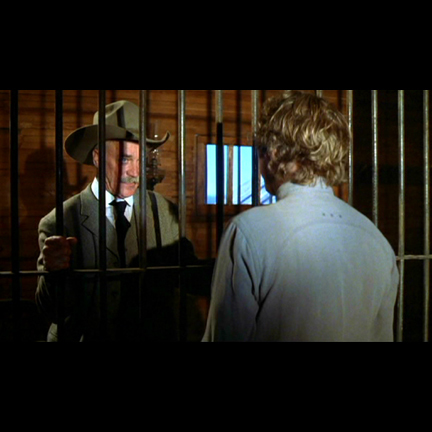 Mr. McQueen wore the shirt in two prominent scenes at the jailhouse where he is being held awaiting his murder trial. 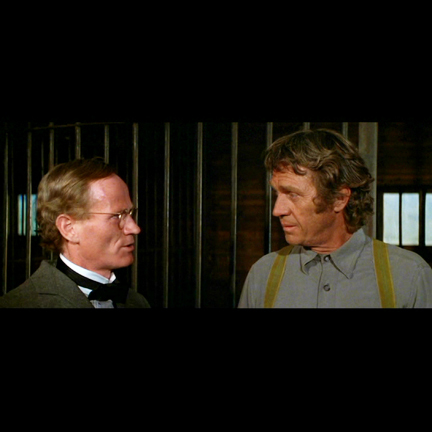 The first takes place when his friend John C. Coble (Richard Farnsworth) tells him that he's likely to be hung as the officials at his trial need to make an example of him in order to get reelected, and then, in a later scene, as he's weighed for the gallows. 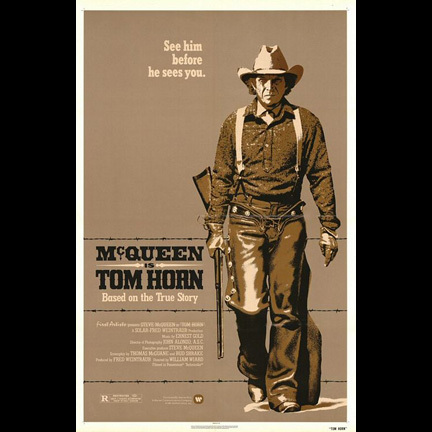 "Tom Horn" was based on a true story that was extensively researched by McQueen with the assistance of his friend and well known Western author Louis L'Amour. 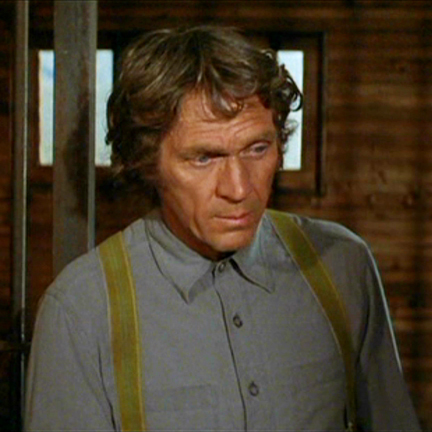 The production was Steve McQueen's second to last film completed before his untimely death in November of 1980, and the actor also shared Producer credits on the movie. The garment is in vintage screen worn condition and is accompanied by a letter of authenticity from the costume house. 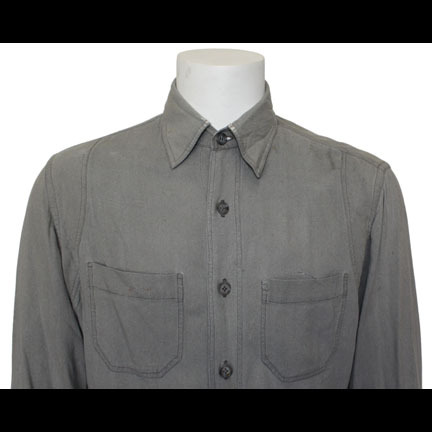 The shirt comes from the collection of Charles James, co-founder of Eastern Costume and the costume supervisor for "Tom Horn," who kept the shirt in his possession after the end of production. Presented by The Golden Closet, your premier source for screen used wardrobe, props, and music entertainment memorabilia.